Home interiors, just like fashion, tend to evolve over time. As time goes by different trends come and go and if you are conscious about the appearance of your home you will need to always be up to speed with the latest decor styles. 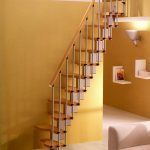 Staircase design plays a great role in the overall decor of your home and since you cannot keep replacing your stairs frequently, you need to ensure that you make the right choice from the get go. 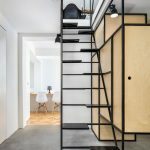 To make it easier for you to find the most suitable staircase design for a small home, we have compiled a number of staircase ideas that that will allow you to make an informed decision. 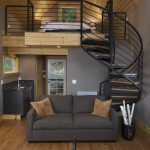 If you want a unique staircase design that combines functionality and great visual appeal you may want to consider a spiral staircase. The circular gradient that is used in constructing these stairs is very practical because it saves a great deal of space. 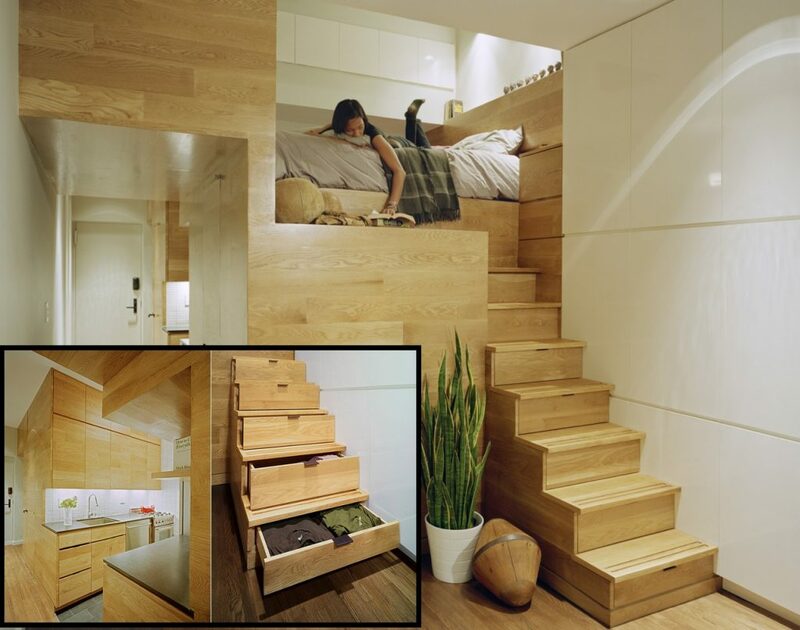 This would be a great option for smaller house or apartments where space is limited. 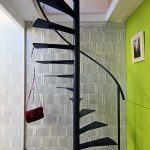 Spiral staircases are quite versatile and come in various patterns and shapes. You could opt for square angled, fine edged or even shaped designs depending on your preference. The dynamism and appeal of spiral staircases is also evident in the materials that can be used. Some of the commonly used raw materials include wood, aluminum, steel among many others. 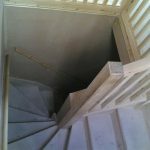 Many people think that spiral staircases are weak and flimsy but if they are installed professionally they can be just as sturdy and any other stair system. In fact they are so stable that some people actually use them to store accessories such as potted plants, sculptures or even decorative chests. To add some flair you could actually add some carpeting for cushioning and comfort. 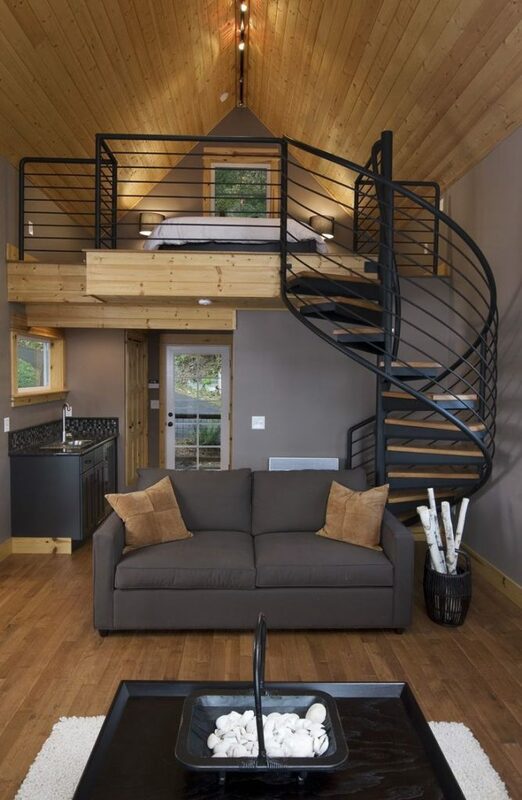 Before purchasing or ordering a spiral staircase, you should do some research to find out the size, design and quality that would fit in well in your home. It is also important to note that this kinds of staircases are popular with people who are looking for space saver staircases. Whenever there is a shortage of space you have to find ways of managing it well in order to avoid clutter and ease movement. One great way of accessing upper levels of a small house or apartment is by installing foldable ladder. This will mean that the ladder will only take up space when in use. After using it, it retracts upward thus freeing up much needed space. This kind of retractable staircase is sometimes referred to as scissors ladder. Apart from being great savers, scissors ladders are quite sturdy and are not difficult to install since most are fully pre-assembled. If you have a personal design, there are plenty of suppliers who can create customized designs to suit your taste. All the measurements of the interior will have to be done beforehand in order to have a have a perfect fit. Most suppliers give you the option of choosing manual or mechanized options. If you don’t mind using physical effort to retract the ladder then the manual option will suit you. On the other hand if you do not wish to exert much effort you could go for an electric model that is automated. 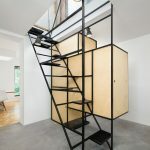 There are plenty of retractable ladder staircase ideas to choose from and some of the popular choices include true folding stairs, accordion stairs, disappearing stairs and telescopic attic ladders. Each of these has specific attributes and you have to find out which one suits your fancy. 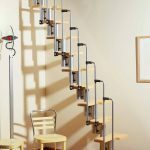 If you love multi-functionality then this may just be your best choice for space saver staircases. In addition to helping you access upper levels of your home you can also benefit from additional storage space. 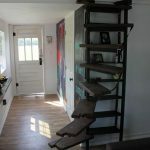 In some cases the storage staircases may be part of the original home design but in many cases people opt to come up with their own design and have a bespoke structure installed. 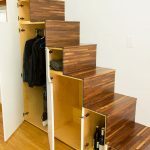 Having storage space under stairs is by no means a new thing but contemporary designers are coming up with exciting modern designs that are simply awesome. So if you do not fancy those old-school Victorian under-stair storage you could go for more stylish cube style storage steps. It is also possible to have some storage space installed for curved staircases. So, you may be wondering what exactly can be stored underneath a staircase? Well, The most common items include books, DVD’s, works of art, accessories, cutlery and plenty more. Some people actually use the space to store bulky appliances that would otherwise take up a lot of space. For instance if you could customize the storage are to fit a washing machine, dishwasher, microwave or refrigerator if you are short of space. 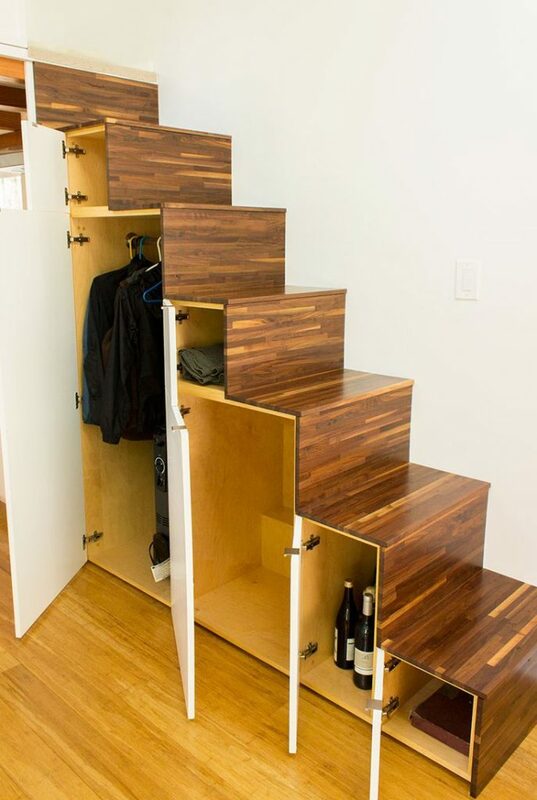 The storage are could consist of hollow spaces or have pullout drawers to keep items out of sight. You could also add a personal touch by adding color to the stairs. These kinds of stairs change direction one or more times without the need for landings. For instance, double winder staircases are designed with two 90 degree turns without a distinct landing where the direction changes. 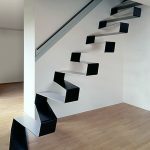 These stairs can be constructed in a U-shape or L-shape depending on your preference. It is advisable to go for made-to-measure winder stairs which will ensure that space is used well in a small space. Many service providers can provide robust plans and installation, however, you should ensure that you check their previous work to know if they produce quality finishes. If you are looking to save space you can consider a vertical staircase which is designed to mimick the structure of a ladder. These staircases are usually quite narrow and do not require plenty of raw materials to construct. They are commonly used to access attics but can also be modified to suit your home or office. 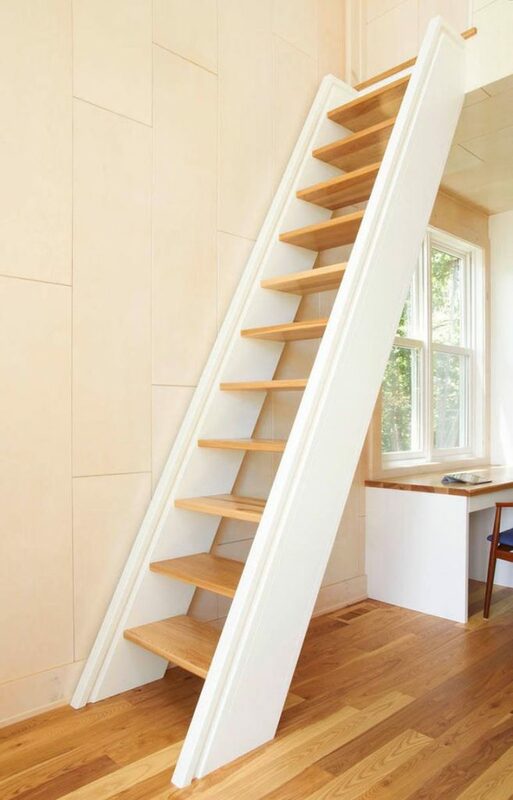 Vertical staircases are often built with minimalist designs but can be customized for a more elegant look. 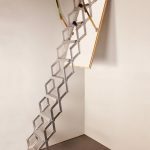 The term floating stairs refers to a flight of steps that are constructed with a self support mechanism that makes it look like the stairs are suspended in the air. 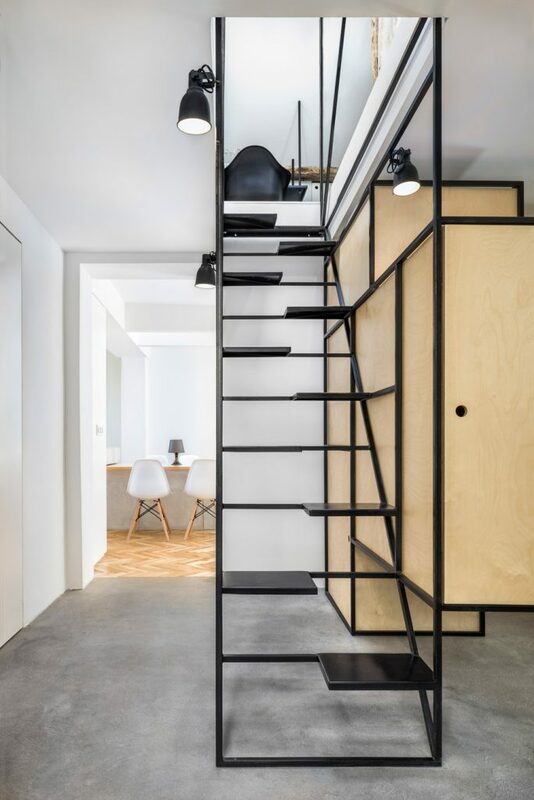 This innovative staircase design allows you to save much needed space because there is hardly any support structure at the base of the stairs. The seemingly levitating treads can be finished in various materials including wood, concrete, acrylic and even hardened glass. To enhance the illusion space you could also do away with the risers or have them constructed with tempered glass. Floating space saver staircases are suitable for both commercial and residential installation and it is important to get the project done by service providers who pay attention to detail. They are often likened to spiral stairs due to the curved or winding design but the key difference is that helical staircases often do not have a central support column to support the treads. Also, spiral staircases normally have a circular shape while helical structures have a slight curve. 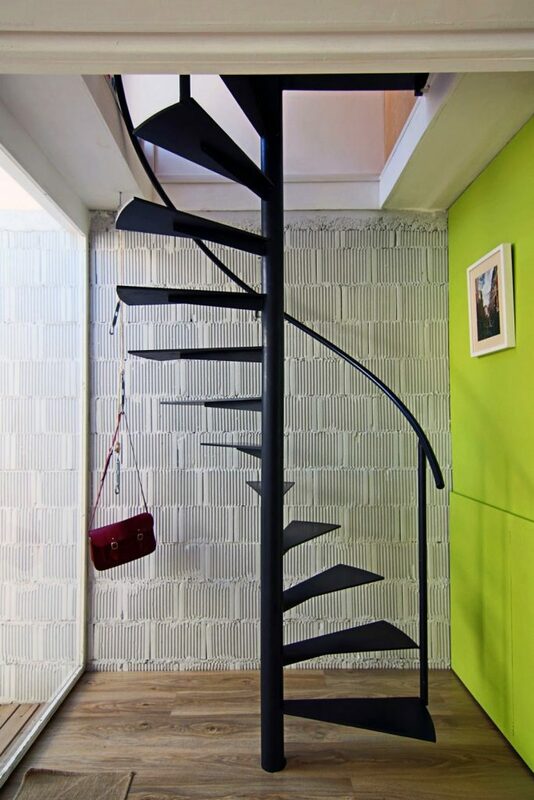 While helical staircases are not as space efficient as spiral stairs, they still have space saving qualities. Helical staircases are striking and very elegant since the treads look like they are floating in the air. This quality allows you to store items below the stairs since there are no bracings or support fixtures to hold up the whole structure. 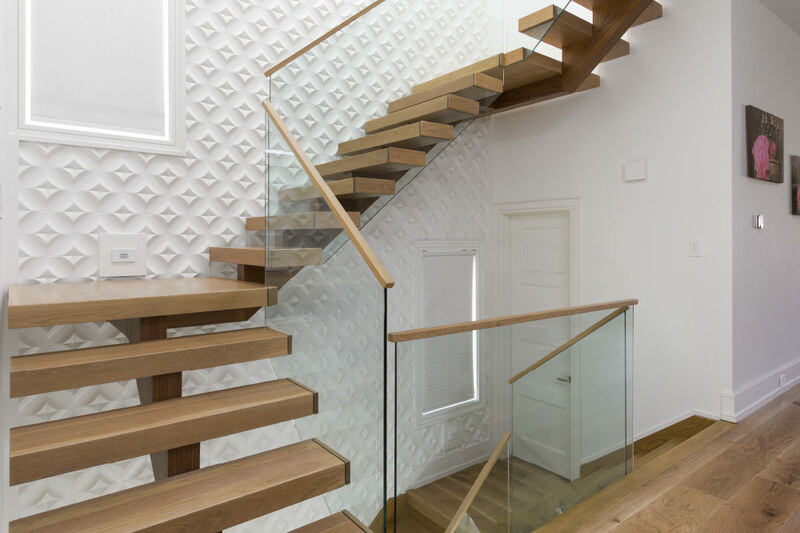 The self support system is engineered with precision and you can choose to include additions such as balustrades.If want to take things up a notch you could add some concealed lighting which add a great aesthetic appeal while helping you see the stairs well at night. There are plenty of designs that you could pick out from online images or you can come up with your own customized plan. 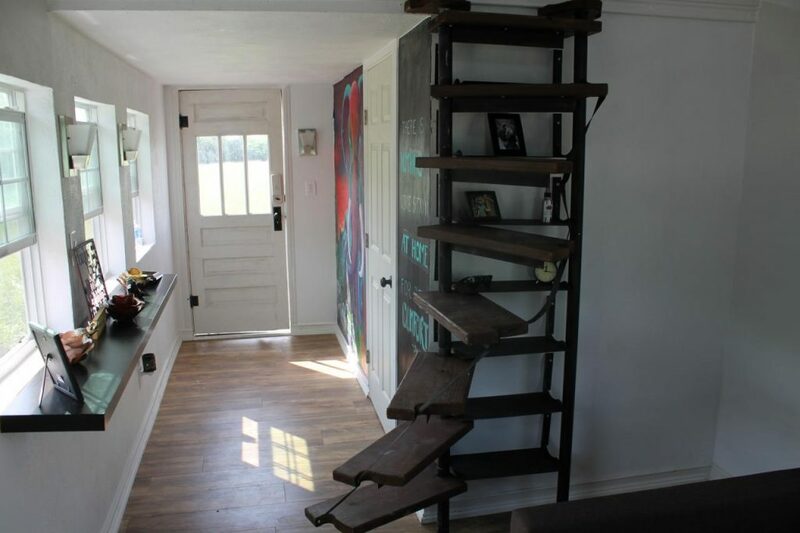 This has got to be one of the most suitable choice for space saver staircases. 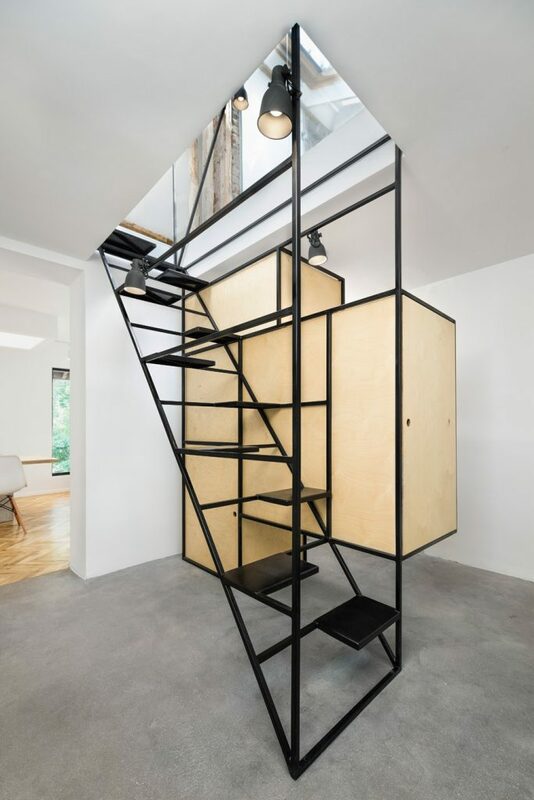 This structure consists of expertly welded steel rods that are crafted together to create one of the most space efficient staircases available. 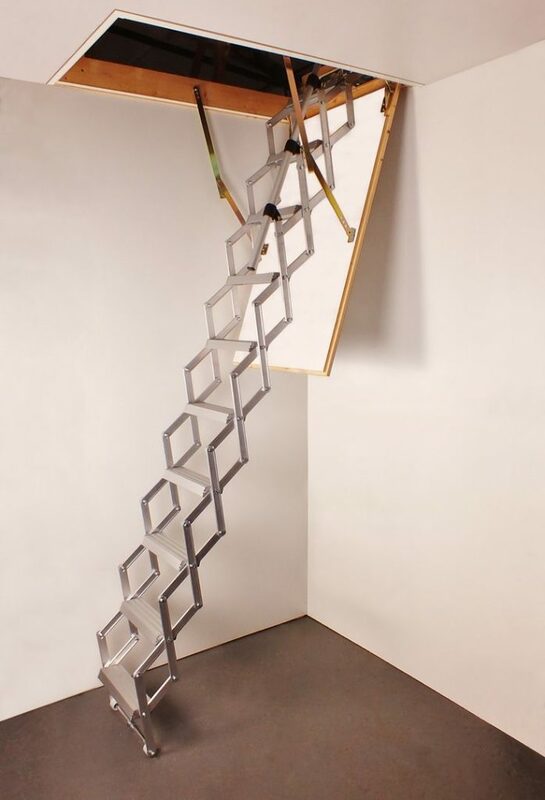 Since the stairs are very thin, the structure requires hand supports for stability when ascending and descending. This kind of structure is very minimalist and has a rustic feel to it. 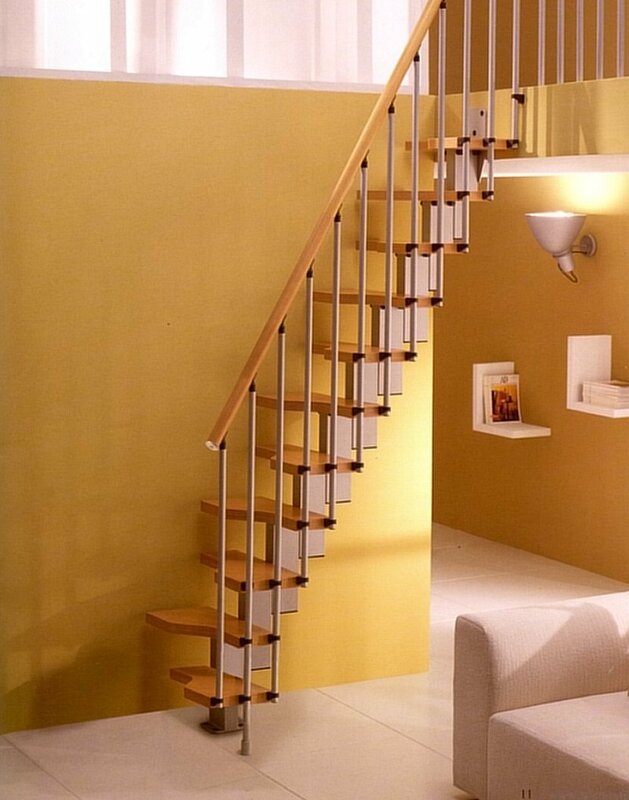 You need not worry about stability of steel rod staircases because they are quite solid and durable. Staircases come in various formats ranging from off-the-shelf kits to fully customized (true bespoke) models. In order to ensure that your staircase is fitted well and suits your design taste, you are better off going for a professionally designed and crafted staircase that will fit your home perfectly. 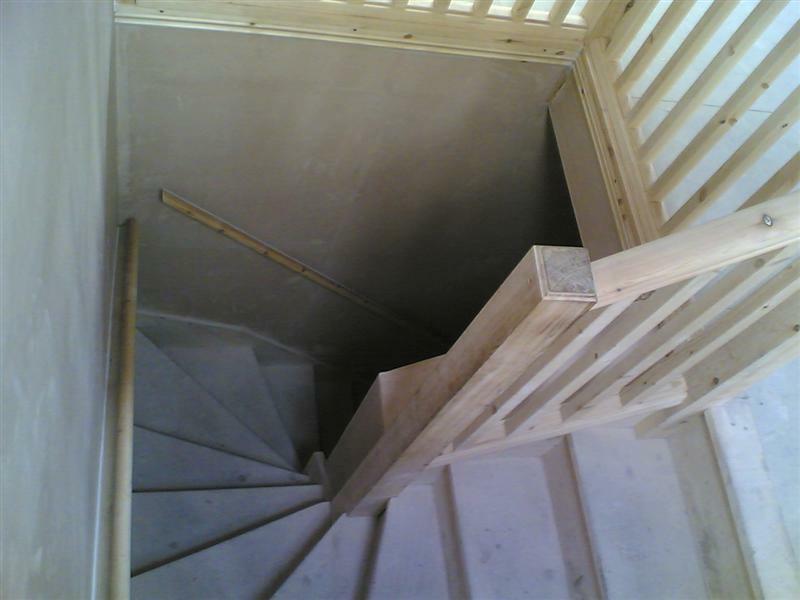 There are many service providers who provide bespoke staircases and the process begins with a site survey that is done to get all the right measurements and figure out exactly where the stairs will be installed. After the survey a plan is then mapped out and it includes a visual representation of what the structure will look like. The mapping process will also include details such as the types of materials to be used. The layout of the staircase depends greatly on the space that is available. Therefore, if you have limited space, the staircase will have to be mapped out to fit properly. 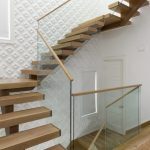 There are plenty of designs available for bespoke space saver staircases and additional fixtures can be added such as balustrades and hand railing. 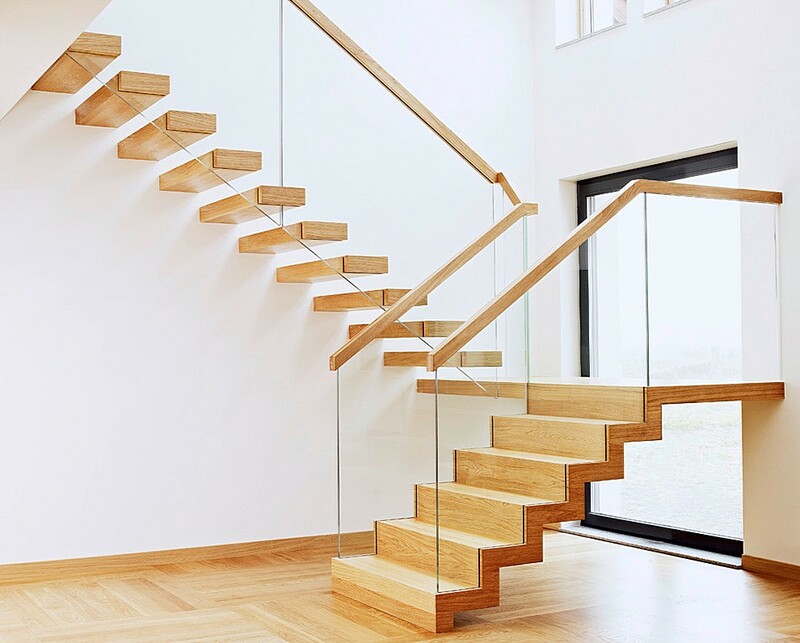 It is important to note that the price of bespoke staircases includes the cost of manufacture, supply, installation and any other additional finishing. 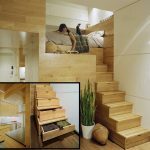 Space Saving – The main objective of these kind of stair system is to avoid taking up space while offering sufficient functionality. Safety– despite the fact that they may be smaller than conventional stairs, space saving models usually undergo strict safety installation procedures to ensure that they are sturdy. Additional safety features are often added such as slip-resistant material for the treads and hand railing support. Style– These staircases come in a variety of designs and you can actually come up with your own design and have the whole structure made-to-measure. Affordable– for the most part, space saver staircases are well withing the budget range of most homeowners. There are also plenty of suppliers which means that you can easily look around and find great deals. 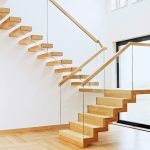 Before acquiring a staircase for your home it is important to find out where there are any legal requirements to be considered. Most localities have a building code that should be followed during construction and renovation of houses. Most credible service providers are conversant with any legal requirements and will communicate them accordingly. Most municipal councils have the relevant information online but if you are not too certain about the details you can visit their offices for further clarification. 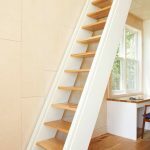 If you have a small home and would like to install stairs that do not take up too much space, there are plenty of options to choose from. However, before you get started it is important to do your research well. Check out the different styles, sizes and materials available in the market. If you want a customized staircase make sure you acquire the services of a credible manufacturer with a good track record. Specialist suppliers and manufacturers offer a wide array of staircase options including bespoke models. So once you have a staircase idea that you want to be implemented simply identify the experts and they will help you to turn your ideas into reality.